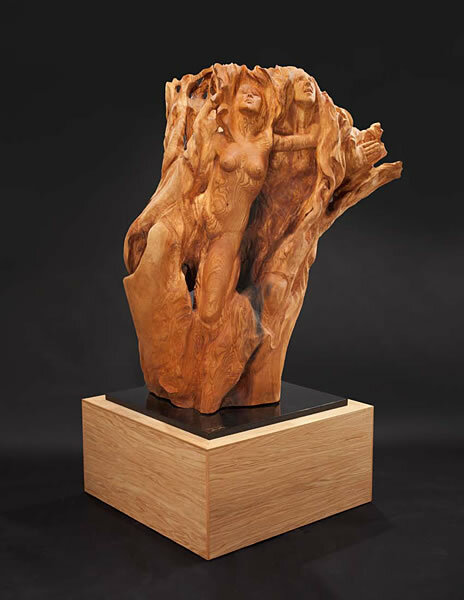 “Awakening” represents the process of the soul’s ascension and awakening to higher realms. 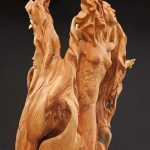 One aspect of this process is the ascension of two soul mates, a man and a woman. 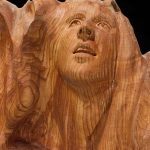 The man and woman’s figures are about to break free of the hold of “maya” — the illusions of Life. 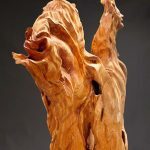 It embraces them like tendrils of smoke, and they emerge and materialize out of that embrace, at the same time that they are leaving it. 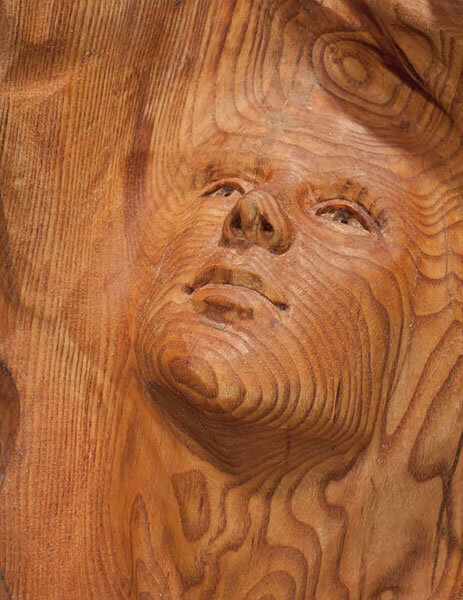 The Maya spins out of the empty space within the sculpture, which also represents the Soul. 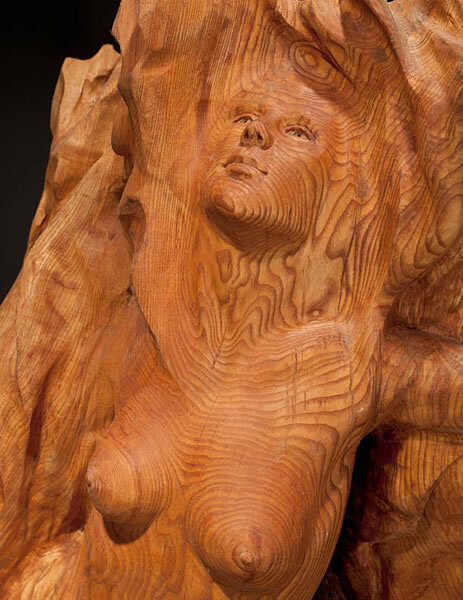 The woman is quite confident and bold in this process, and with her hand on the man’s face, guides him upward. 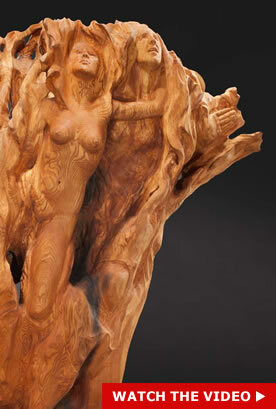 The man is hesitant and unsure, yet protects the woman in this journey. 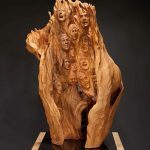 The second aspect of the soul’s ascension and awakening is Reincarnation. 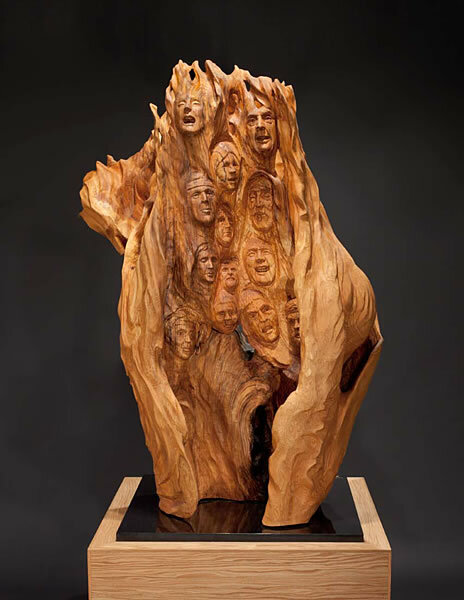 It is represented by multiple portraits of the incarnations of one soul, rising upward within the embrace of Maya, and emanating from the empty space of the Soul. 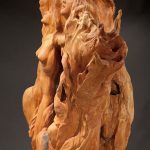 The topmost portraits begin to dissolve back into the Soul. 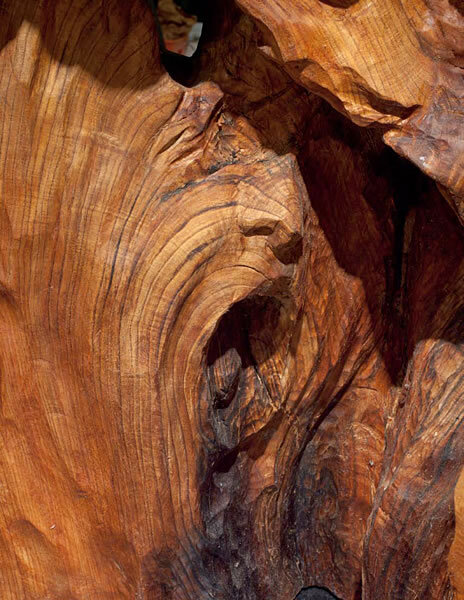 At the lowest point of the empty space is the primordial image of the Soul taking on human form and physiology. 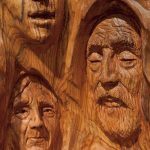 Each portrait depicts the end of Life for that particular incarnation, and also invokes the character, personality, and Life experience of that person. 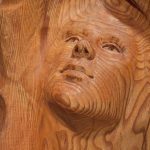 They include various ages, genders, and races. 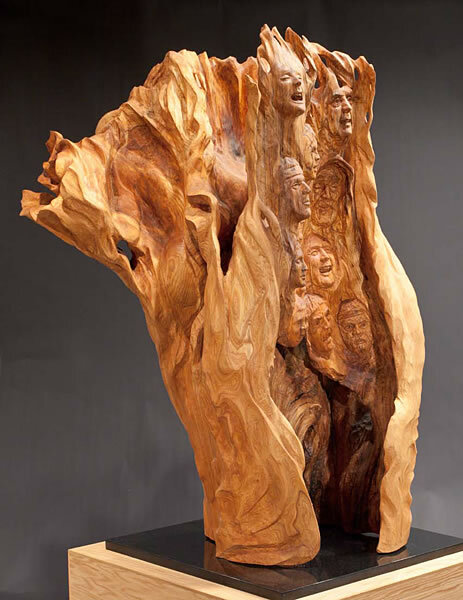 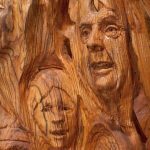 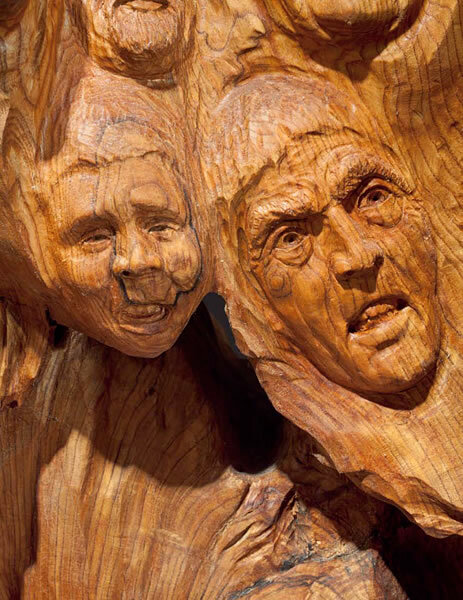 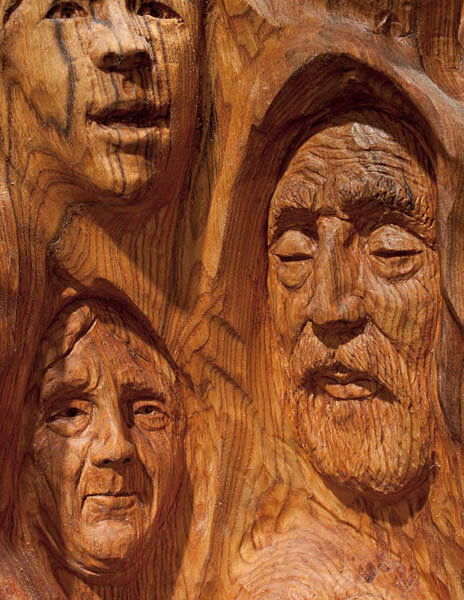 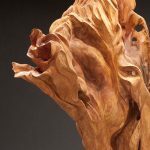 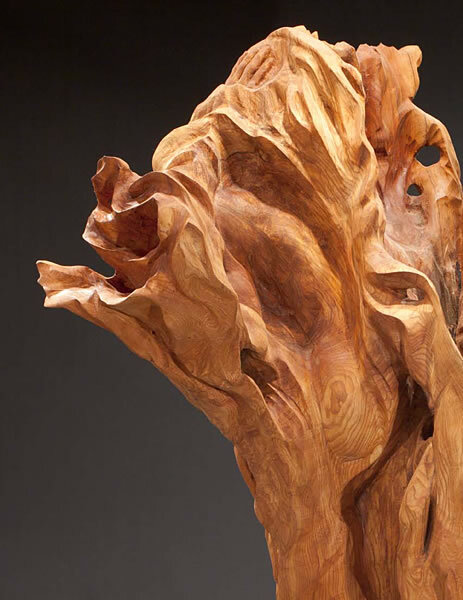 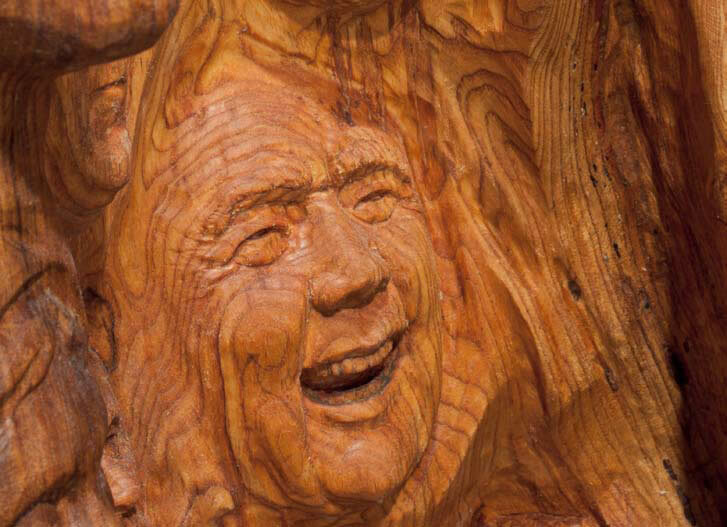 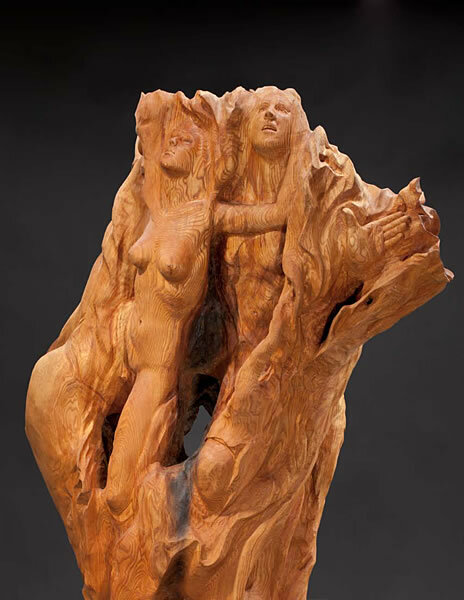 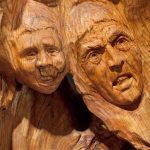 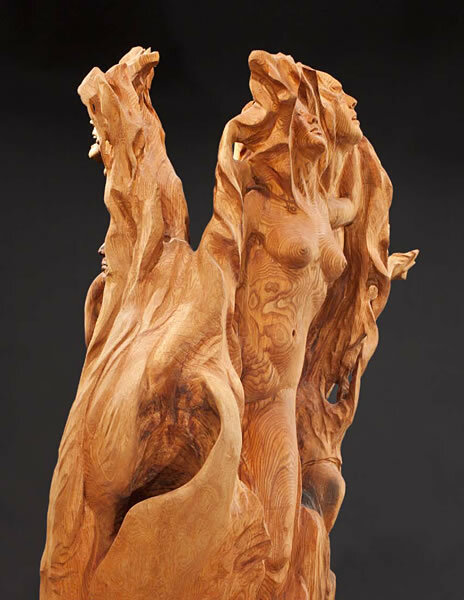 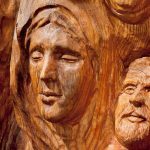 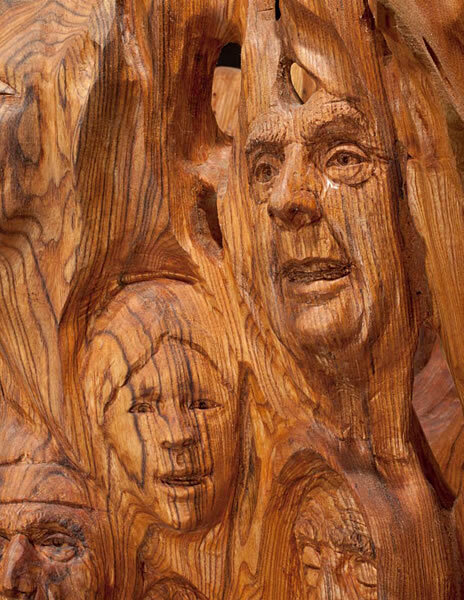 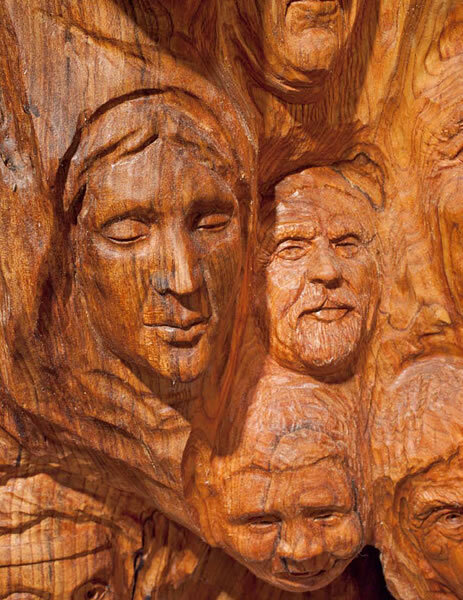 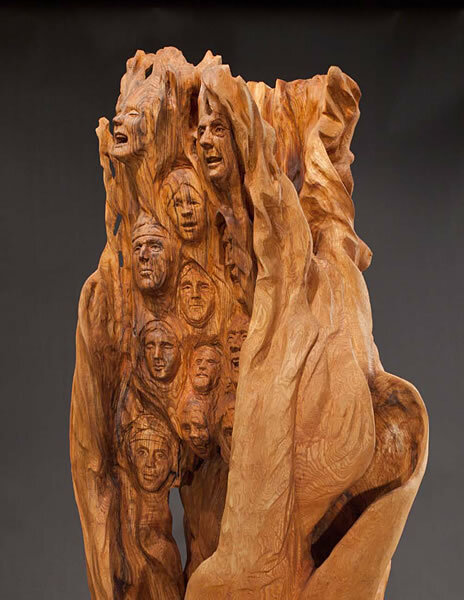 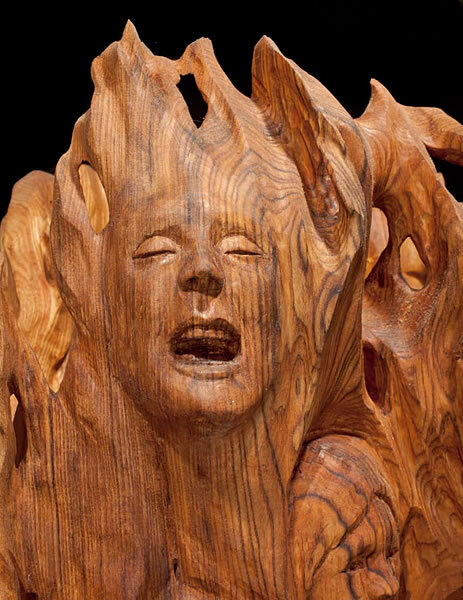 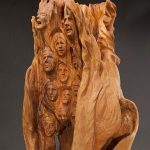 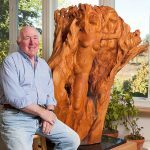 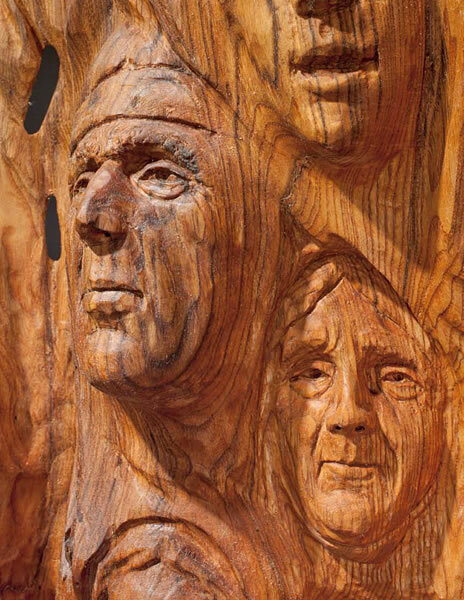 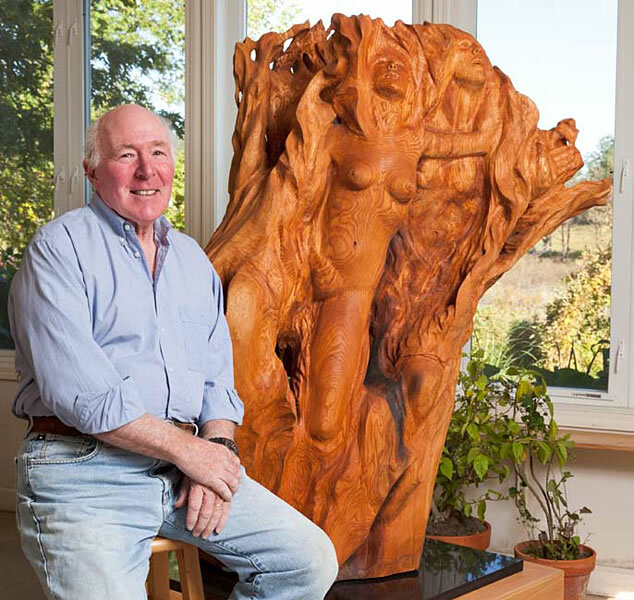 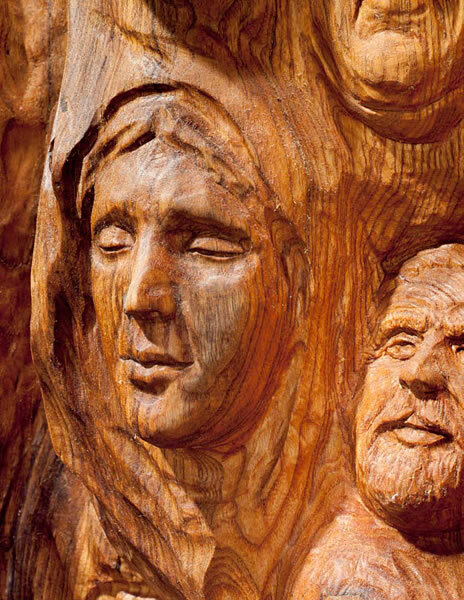 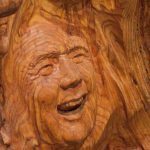 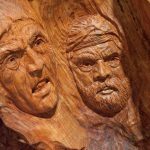 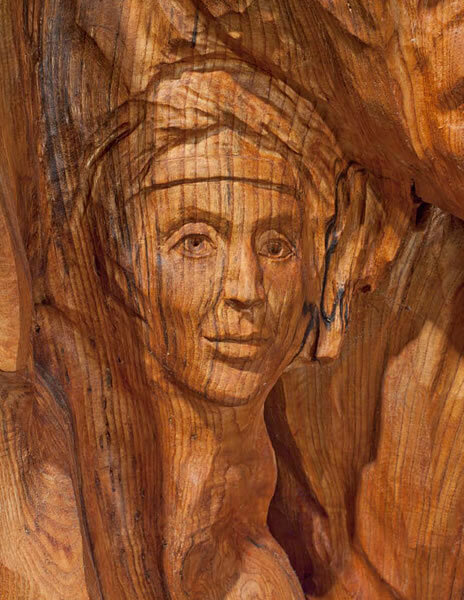 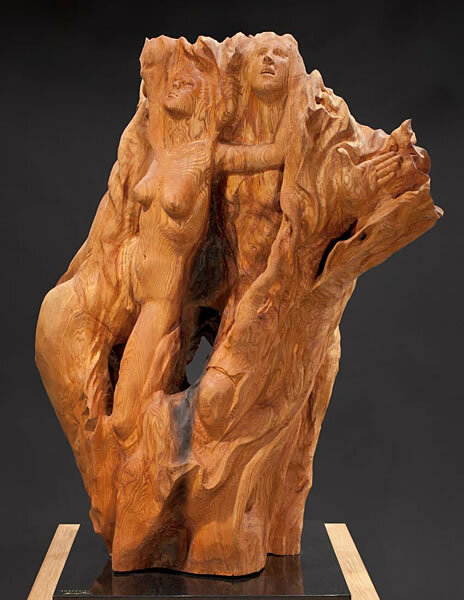 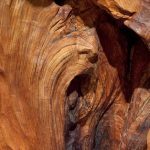 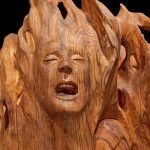 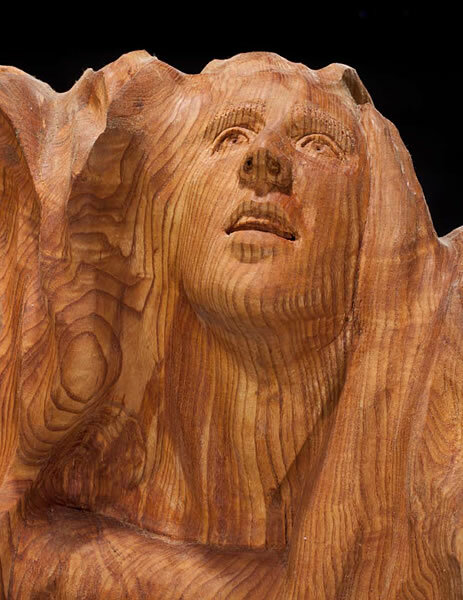 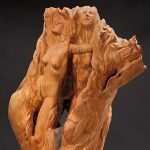 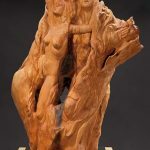 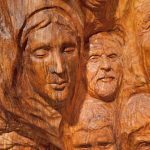 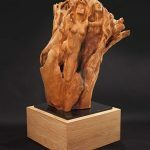 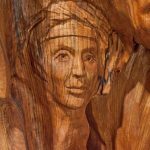 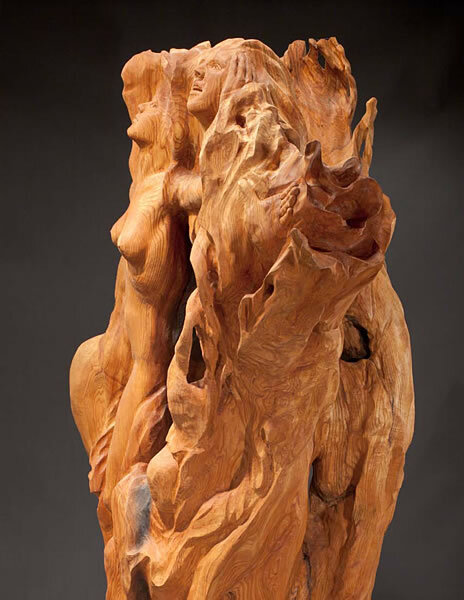 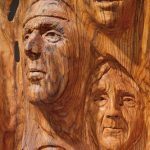 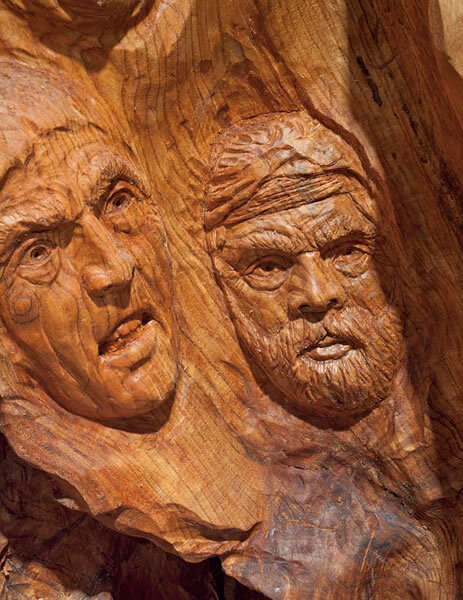 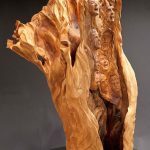 The sculpture was carved from a double tree trunk of Red Oak, and has taken ten years to complete. 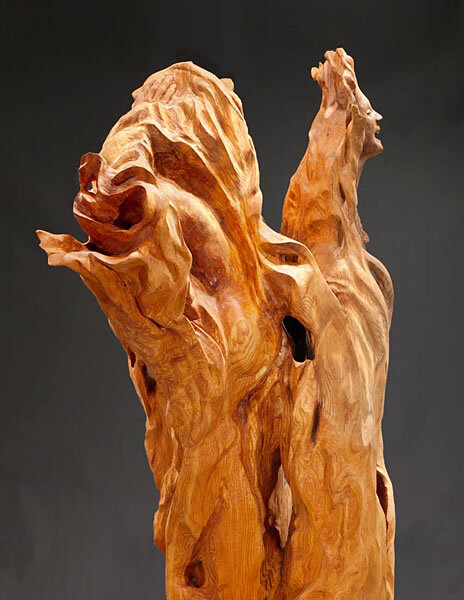 It stands 6’ tall and 4’ wide on its pedestal.